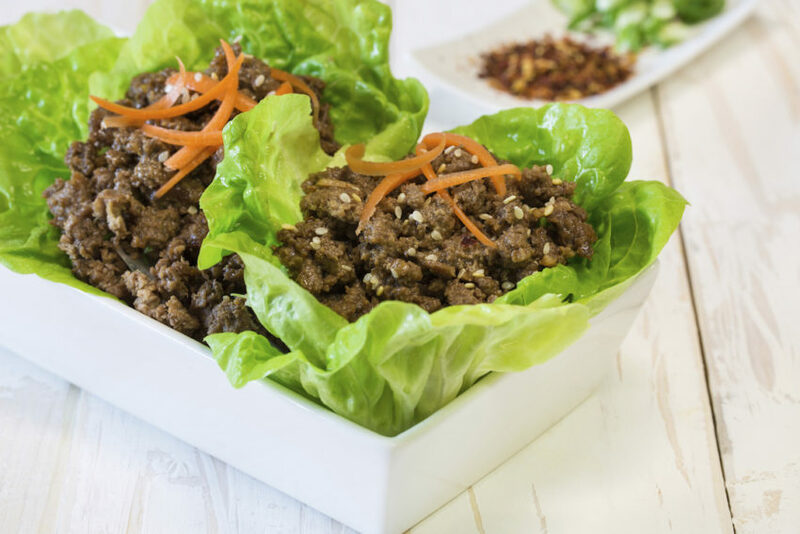 I had so many great questions and requests from the “5 Recipes for Weight Loss” using grass-fed ground beef series. Many of you asked how you can get them all in one spot, so I decided to make it easy for you and put them all in one post! 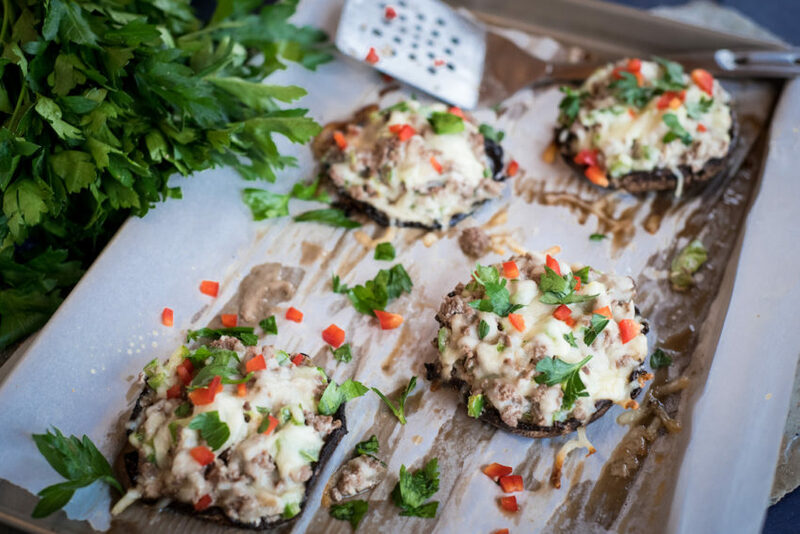 Ground beef mixed with a few simple ingredients and stuffed into a portobello mushroom cap, and baked. Delicious, flavorful, and filling. 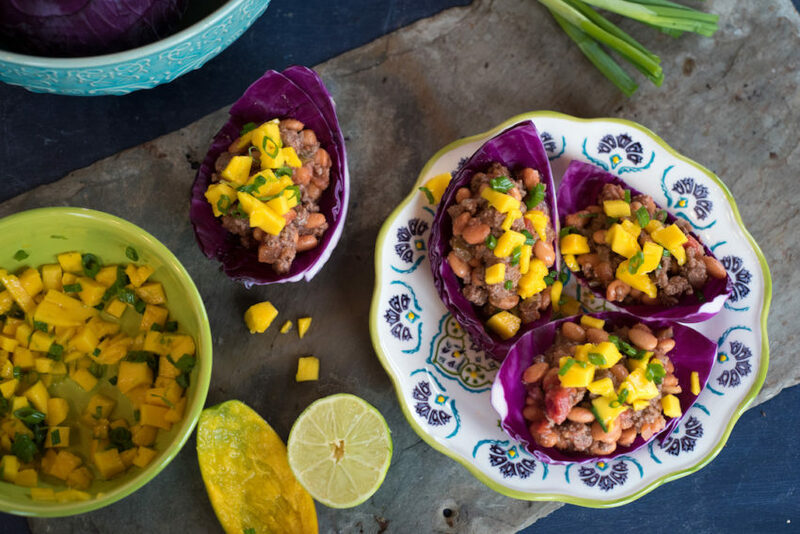 An easy 3-ingredient mix into a cabbage shell with a mango salsa. The flavor of a taco, only quicker, healthier, and OH SO YUMMY! A hearty, comforting dinner that is served in it’s own bowl! 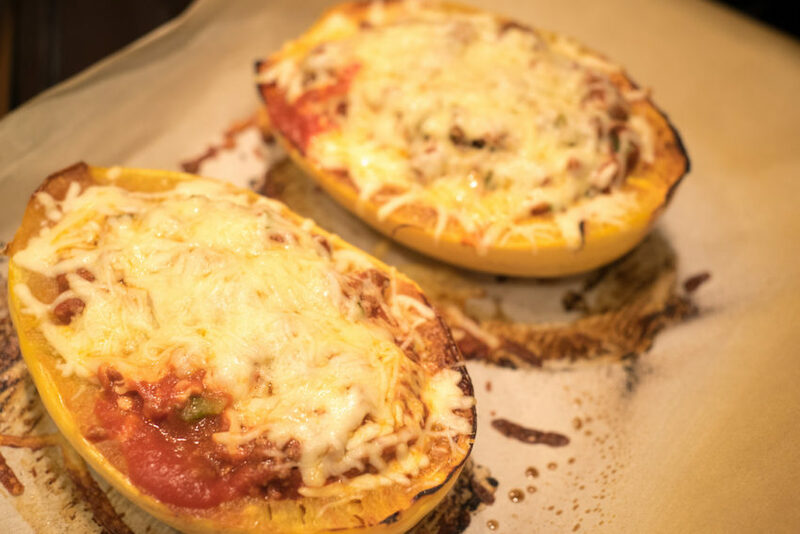 Spaghetti squash makes A LOT, and this recipe is filling! Trust me, you will become addicted to this recipe…and it’s not my fault! Okay, okay….this recipe was WAY more popular than I anticipated. But I know, simple recipes are always the best. 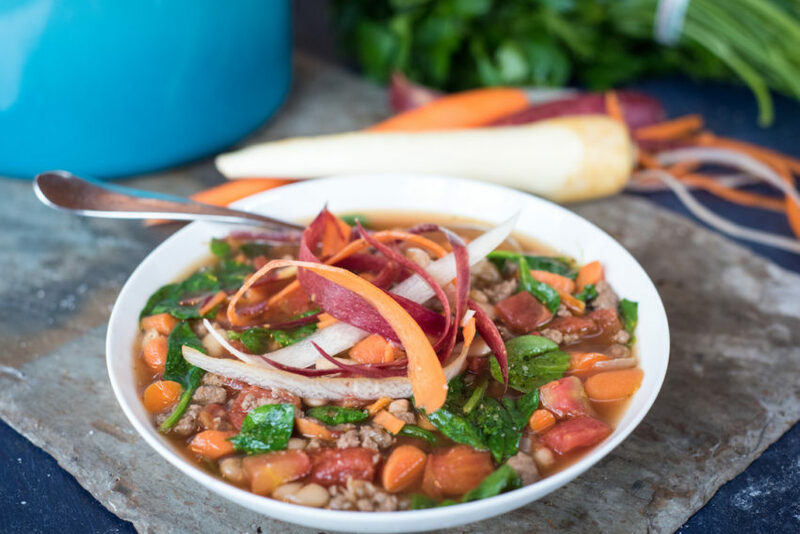 This is hearty, easy, and delicious, plus who doesn’t love something simmering on the stove while getting ready for a delicious dinner. I could eat this one every day! Have you tried any of these yet? Let me know, and keep up those health and weight-loss goals! Remember to take one day at a time – to be consistently good is better than occasionally perfect. I created these recipes for Albertsons Safeway. I am here to support your health journey! Healthy Cooking Class Weight Loss Recipes! Annessa, my husband has many health issues and I’m trying to cook what he can have but it is difficult. He’s diabetic, stage 4 kidney failure and has to eat low potassium, phosphorus, sugar. He is not allowed beans, corn, nuts, peas, and others. Can you please give me some recipes. I love your videos and recipes.